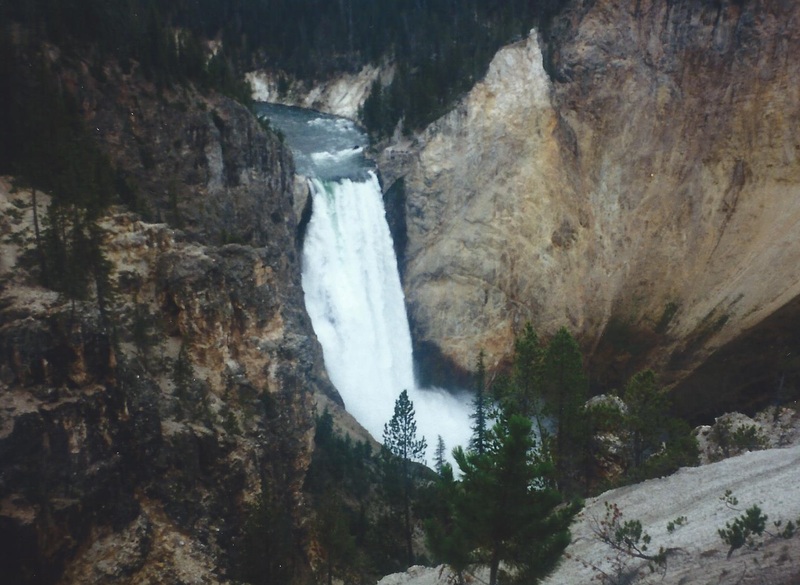 We have been fortunate to have been able to visit Yellowstone National Park over a dozen times in the past fifteen years and through those visits we’ve definitely learned some lessons. It seems that most visitors to the park drive the various roads that traverse the park, stopping at each of the various landmarks as well as stopping whenever they run across a large number of vehicles pulled off on the side of the road, the sure sign of a wildlife spotting. Especially during the summer, there can be hundreds of people crammed around the walkways to get a glimpse at Old Faithful, Mammoth Hot Springs, the Grand Prismatic Spring, or the Paint Pots. If you want to make the most of your visit to Yellowstone, here are a few things that we recommend. Hike one of the many trails that are in the park. 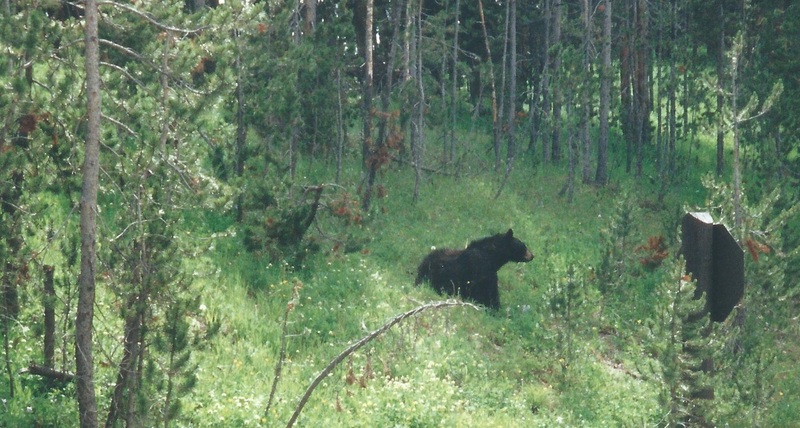 When hiking, the park recommends that you go in groups of three or more, make noise, and carry bear spray, but we’ve found that just the two of us is fine. It never ceases to amaze us at how many people cram into the walkways and viewing stations, but as soon as we step onto a trail, we’re virtually alone in the park. Some of the most beautiful sites in Yellowstone can only be seen by hiking to them and it also greatly increases your chances of seeing wildlife in the park. Some of the trails can be strenuous, so be sure to know your limits and always hydrate appropriately. Talk to a ranger at one of the visitor centers or ranger stations located throughout the park. The rangers will be able to tell where certain wildlife is more likely to be seen, which trails are the best to hike and which ones should be avoided or are closed, as well as just provide great information on the park itself. The rangers are there to assist people and are always extremely friendly and proud of the park that they serve. Don’t be afraid to ask them questions, whether it is about where to go and what to see or questions about the various animals, plants, or geological wonders that abound throughout the park. Visit the park during the off-season. Having been to Yellowstone in all four seasons, we enjoy going almost anytime other than summer. Fall is probably our favorite season as the Aspens have turned to a spectacular gold and the animals are all very active as they prepare themselves for the upcoming winter. 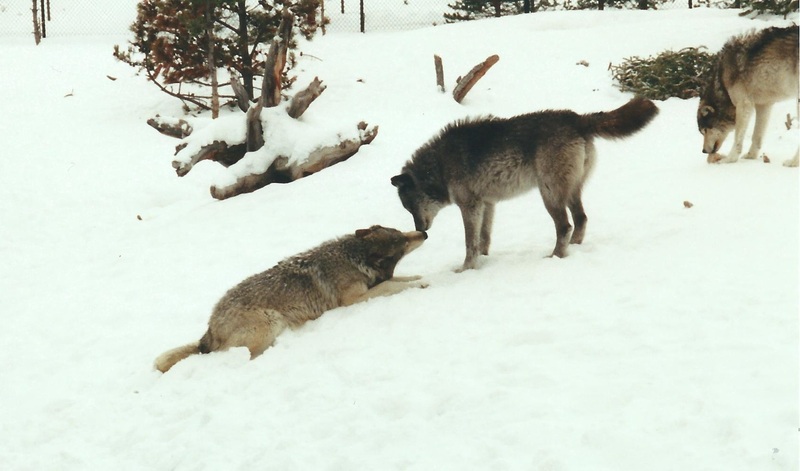 During winter, though, you are more likely to see wolves or some of the more reclusive animals, but be prepared for snow and check for road closures as not all roads are open during the winter. Spring is also a wonderful time to visit the park as the wildflowers start to bloom and you will likely see some newly born wildlife with their parents. Go on a ranger led hike. It is worthwhile checking on the availability of the ranger led activities in advance as some of them book out weeks in advance. Ranger led hikes allow limited numbers of participants, so you really get a one on one experience and learn things about the park that you never would otherwise. 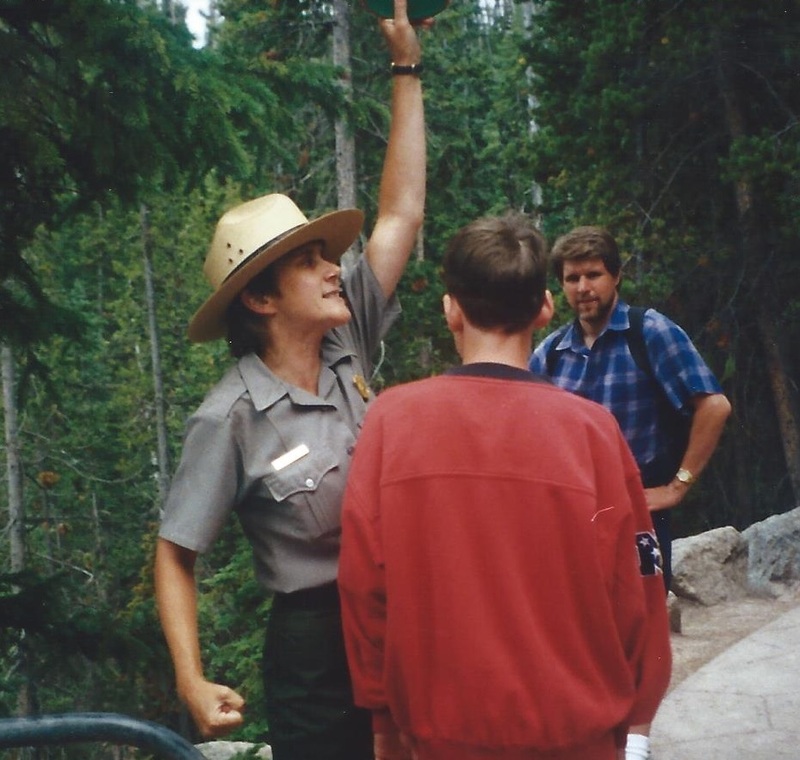 The rangers all have vast knowledge about the history of Yellowstone as well as everything to do within the park and they are enthusiastic to share that knowledge with you. Don’t approach any of the wildlife. It amazes us every year to hear about people approaching wildlife in the park and then being seriously injured or killed. None of the animals are tame, they are all wild animals and this isn’t a petting zoo. The elk and bison may seem docile, but any animal that is startled or protecting its young can be unpredictable and aggressive. We all want that amazing photo to share with our friends, but it isn’t worth risking injury or death for it and having a telephoto lens is a much safer way to get that special shot. Take your time in the park and give yourself several days to see everything. There is too much to see in Yellowstone to try and cram it in to a single day or even a couple of days. Despite all of the times that we’ve been to the park, we’re still finding new places to hike and new beautiful sites to see. Especially if you visit the park during the summer, expect plenty of traffic on the roads and around all of the major attractions. Don’t be one of those people who stop at one of the various geological wonders like Old Faithful or the Grand Prismatic Spring, take a couple of quick pictures, and jump back in the car. Take time to look around, read what information is available about what you’re viewing, and look for ways to view it that are different. Perhaps you’ll capture a picture that is truly different than what most park visitors see. Don’t over plan, see the main attractions, but give yourself time to explore. There is so much to do and see in the park that you could put yourself on a tight schedule and try to see it all, but then you’d miss out on some great opportunities. Give yourself a chance to take a boat out onto Yellowstone Lake or go horseback riding in the park or Grand Tetons. Have dinner on a covered wagon excursion or pack a picnic lunch to eat on a long hike. The best memories are usually those that were made because of a spontaneous decision, so let yourself find one of those memories in Yellowstone. Visit the park near dawn or dusk. 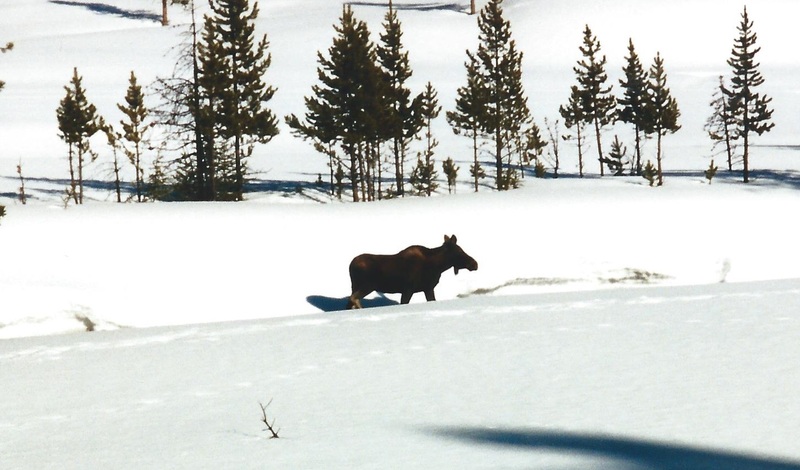 If you’re going to Yellowstone, it is likely that you’re hoping for the opportunity to see some of the wildlife that is abundant in the park. Although the bison and elk are easy to see in the park, especially in summer, other animals can be harder to find. It is well worth getting up early or staying late in the park because the wildlife is more active during those times. 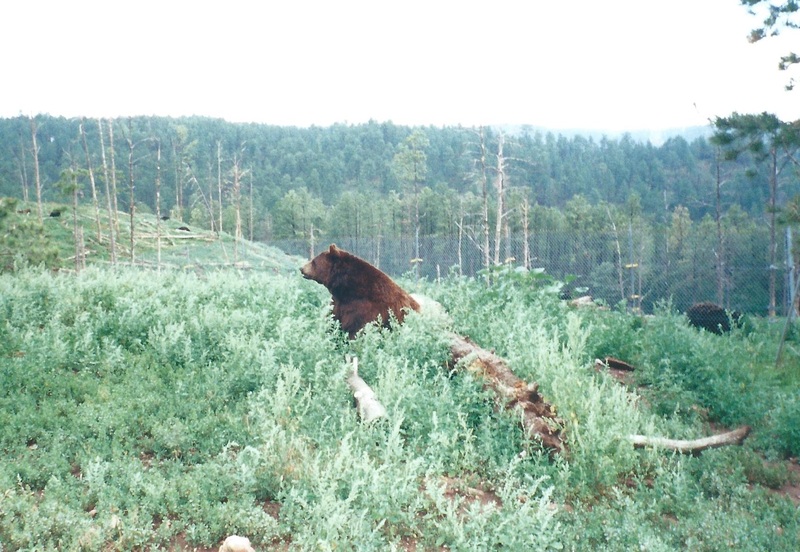 We’ve been fortunate to see bears, both black and grizzly, moose, wolves, elk, bison, bald eagles, coyotes, beavers, and many others during our various visits. If you have younger children, have them do the Junior Ranger program. We’ve had the kids participate in the Junior Ranger program at several national parks and earn the Junior Ranger badge at each of them. The Junior Ranger program is a great way to entertain the kids, while also helping them learn about the park and the animals that reside there. They are given a booklet with several pages to complete (simple games like word find or match this animal to its environment, etc.) and when completed and returned to the ranger station, they are awarded their very own ranger badge. Be very observant and always scan all around you whether you’re driving through the park or hiking. You’ll likely run across a large group of vehicles pulled over on the side of the road with people out with their cameras taking pictures of some sort of wildlife. If you want to be the first vehicle to stop for that wildlife encounter, pay close attention to your surroundings at all times. You’d be surprised at how often you may run across something very interesting just by having everyone in the car, obviously not the driver, looking through the trees for anything that might be an animal. It is even more important to be observant when you’re hiking because you don’t want to surprise an animal while on a trail. Always look as far ahead as possible as well as scanning in all directions, just to be sure that you see any animals before they see you. This entry was posted in Montana, Yellowstone and tagged advice, Hiking, National Park, nature, photography, tips, travel, Vacation, wildlife, Yellowstone. Bookmark the permalink. I want to go back 🙂 I was there when I was 6, and my parents were unfortunately the type to take the picture of Old Faithful and go. I’ve never been but will be going in the next couple of years. Thanks for the tips! As a geographer I must get to see this place some day soon……before it blows!